Place the olive oil into a large 6-quart Dutch oven and set over medium heat. Once hot, add the onion, carrot, celery and salt and sweat until the onions are translucent, approximately 6 to 7 minutes. Add the lentils, tomatoes, broth, coriander, cumin and grains of paradise and stir to combine. Increase the heat to high and bring just to a boil. 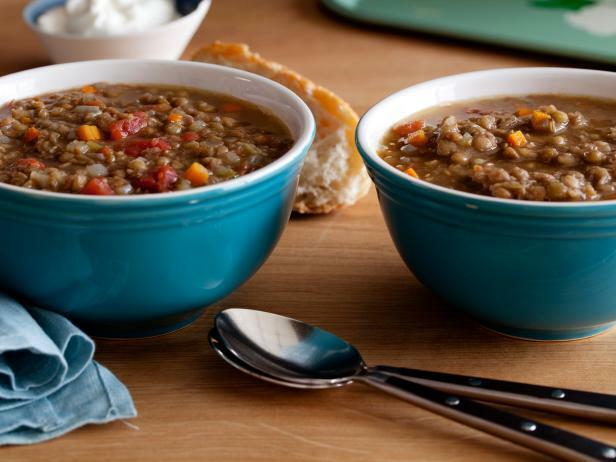 Reduce the heat to low, cover and cook at a low simmer until the lentils are tender, approximately 35 to 40 minutes. Using a handheld stick blender, puree the soup to the consistency of your liking. Serve immediately. Sweat: To bring out moisture in the veggies, if they start to brown turn down the heat.